“Fritz Ascher: Expressionist” presents paintings and works on paper by a Jewish artist who belonged to Germany’s Lost Generation – those whose careers were interrupted or destroyed by the Nazi terror regime. Coming to maturity during the Weimar Republic, Fritz Ascher (1893-1970) was taken under the wing of prominent Berlin painter Max Liebermann and studied in Koenigsberg and Berlin. He traveled to Oslo, where he met Edvard Munch, and Munich, where he associated with the artists of Blauer Reiter and the Simplicissimus group. Ascher’s early work is steeped in old myths, spirituality, and reflections on the human condition. From 1933 he was forbidden to produce, exhibit, or sell his art. He was deported to the Sachsenhausen concentration camp in November 1938, and from December he was incarcerated in Potsdam prison for five months. In 1942 Ascher went into hiding in Berlin, writing poetry. He returned to painting after the war, expressing his inner turmoil in colorful, mystical landscapes devoid of human figures. 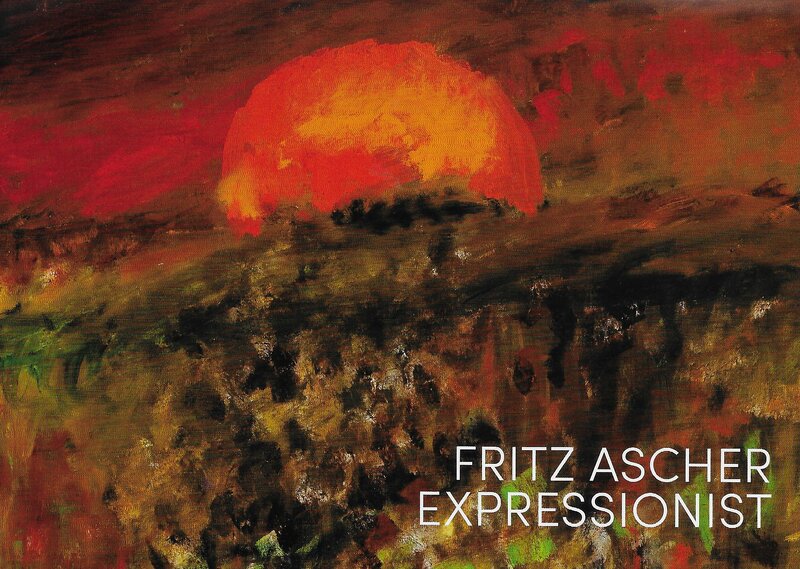 Fritz Ascher: Expressionist is organized by the Fritz Ascher Society for Persecuted, Ostracized and Banned Art, Inc. and curated by director Rachel Stern. The exhibition is part of Wunderbar Together: The Year of German-American Friendship 2018/19, an initiative of the Federal Foreign Office of Germany and the Goethe-Institut, with the support of the Federation of German Industries (BDI). Support for the catalogue was provided by Reinwald GmbH, Leipzig. The presentation at the Grey Art Gallery is made possible in part by the New York State Council on the Arts with the support of Governor Andrew M. Cuomo and the New York State Legislature; Ruth Ivor Foundation; the Abby Weed Grey Trust; and the Grey’s Director’s Circle, Inter/National Council, and Friends.